Funny how things work out, I started building the kiln assuming I’d find some wood to mill. Before the kiln was finished, though, the wood found me! A colleague discovered a cherry tree, cut down and limbed, at a local park. We suspected it had washed up in Hurricane Harvey, as the river had flooded the entire park about a month previously, and there were no stumps nearby. Reasoning that the fallen tree was a safety hazard, I dutifully performed a community service by removing flood debris. At least, that’s what I would have said if anyone stopped me bringing a chainsaw into a park, and walking out hauling 4ft logs! The tree was about 24ft long, over 12” diameter near the base, down to about 8” diameter at the top. I don’t have a moisture meter so I can’t be sure how green it was when I took it, but the 4ft logs were HEAVY. I reduced the tree to 5 or 6 logs and hauled them home. I discovered a small amount of rot near the top – some wood was spongy. I also discovered larvae under the bark on most of the tree. The bark peeled off pretty easily everywhere. That information probably says something about how long the tree had been on the ground, but I don’t know how to interpret it. 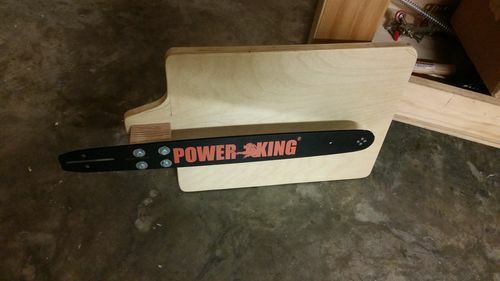 I used this to make a flat face on each log, then took the logs to my 17” Grizzly bandsaw to flatsaw 5/4 boards. 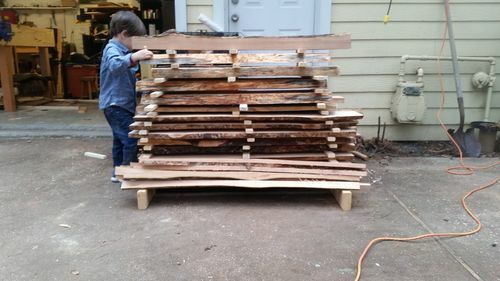 I don’t have a picture of that setup, but I didn’t get very far with log milling sleds. 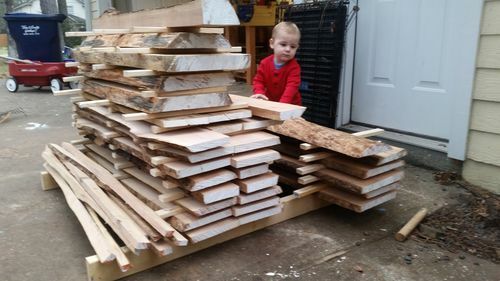 For each log, I screwed a flat board on the side for the first cut to establish a reference face 90deg to the chainsawn face, then just milled on the bandsaw without any jigs. I did purchase roller stands from Lowe’s ($20) for infeed and outfeed. I used a Timberwolf 1” 2-3TPI blade. 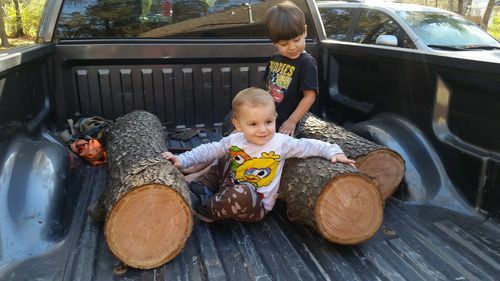 The biggest problem with this was the weight of the logs. Very difficult to control, and heaving up and down to the BS was a pain. Also, a little twist in one of the flattish faces could cause some dangerous blade binding, especially slicing thru 12” of material. With this in mind, for the last log, which was closer to 6ft long, I milled the whole thing on the chainsaw. 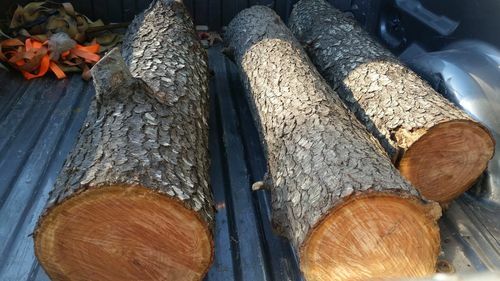 I also had some other logs – a white oak and a couple loblolly pine – that I didn’t want to put on the bansdaw. A couple of times I forgot to wedge the kerf open, and my blade got into a bind. It’s very obvious in the video. Anyway, I ended up with one cherry log untouched (Maybe I’ll quartersaw it someday!) and my kiln FULL to the top! These all made it into the solar kiln, and we’ll check on them in a few weeks! Looks pretty similar to everything I’ve milled thus far, certainly hard, time consuming work but the lumber you end up with makes it all worth it!